FILE - Alicia Silverstone, left, and Christopher Jarecki attend the West Coast premiere of "The Book of Mormon" at the Pantages Theatre, Sept. 12, 2012, in Los Angeles. 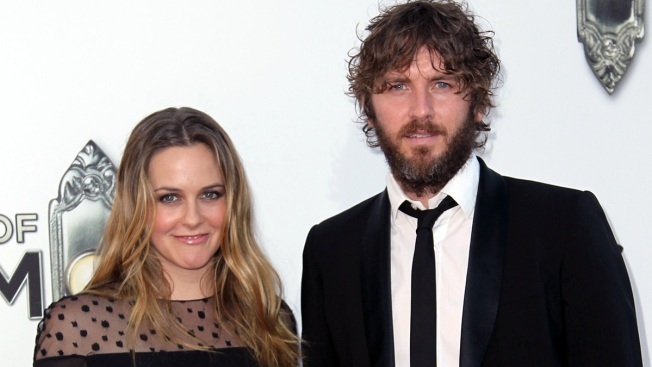 Alicia Silverstone and Christopher Jarecki have officially separated, E! News can exclusively report. "They still deeply love and respect each other and remain very close friends, but have mutually decided to separate after being together for 20 years. They have a son together who they will continue to co-parent," Silverstone's rep shared in a statement. The "Clueless" star and Jarecki share one child together, 6-year-old son Bear Blue Jarecki. Jarecki, known for his work as the lead singer of punk band S.T.U.N., last appeared on Silverstone's social media page in July 2017. Aside from sharing tidbits about their eco-friendly lifestyle on her blog The Kind Life, the 41-year-old '90s star has kept most details of her marriage and life at home extremely private. The actress is starring in Paramount Network's upcoming series "American Woman" and recently acted in "The Killing of a Sacred Deer."